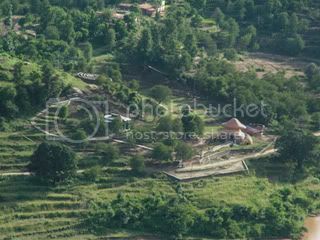 Morni Hills in Panchkula Haryana is the only hill station which falls under Haryana state. These magnificent Hills attract lot of tourist not form India only but from countries out of India. To know more about Morni Hills Panchkula read the following article. Morni Hills Panchkula is very beautiful Hill Station in Haryana. It has many beautiful things to see and it is a wonderful place to spend your weekend with the whole family. Morni Hills in Panchkula, Haryana are just 75 kms away from the Chandigarh These hills are an off-shoot of the Shivaliks and run in two parallel ranges from south-east to north-west. The ground between them is broken by projecting spurs and the river Ghaggar flows through these valleys all together make a beautiful scene in front of eyes. There are two lakes which you can find among the spurs of the hills one is 550 meters long and 460 meters broad, the second one is 365 meters either way. It is very unusual to see that in spite of their different sizes water level of the two lakes remains the same. You can also see the remains of an old fort which tell the history of this place. It is believed that the fort belonged to the Queen of Morni Hills. The upper part of the hills are covered by pine trees which looks very beautiful. The climate of Morni Hills is always remain very good and salubrious. These hills provide good opportunities for the adventure sports lovers. You can enjoy water sports like boating; canoeing, kayaking and sailing as well as it offer a rich opportunity for adventure seekers and explorers for trekking and other adventurous sports. Morni Hills is full of greenery it has many types of trees which are going to be extinct now like Neem, Pepal, Jamun, Dhak, amaltas, Jacaranda trees and pine. Some animals like sambhar, the hyena and an occasional jungle cat can also be seen here. Birds like doves, quails and sand grouse also like to make their nests in Morni Hills. For the convince of the tourist Haryana Government has built a Mountain Quail tourist resort which is situated on the hill top so that tourist can see the view of beautiful valley. It also has a delightful restaurant and a bar to serve you. You can contact the following addresses and numbers for the reservation or any further query about the Morni Hills. Baba Rameshwar Dass Temple is a very popular temple in Narnaul. In this article you will find the complete details about Baba Rameshwar Dass Temple. Here you will find why this temple is famous in this area and when the fair is organised here. To know more about Baba Rameshwar Dass Temple please read the following article. Bhuteshwar Temple (Jind) is the one of best temple of Jind (Haryana). It dedicated to Lord Shiva. It is also knows by the name of Rani Ka Talab. Kalesar Forest is the beautiful Sal tree forest in the shivalik hills. This is paradise for the wildlife lovers. It is situated in Yamuna Nagar . Cactus Garden, Panchkula Haryana is very beautiful garden which is the best place for the cactus lover. Rock Garden in Chandigarh attracts lot of tourist from all over the world because of its uniqueness.